My work combines craft and performance to design new digital media and forms of interaction. My research combines craft and performance to look for novel interaction formats and to design new digital media. The approach combines theory and practice and very often mixes both. The goal is to support human creativity in situations where the digital and the material blend into each other. Most of this work happens in my group, the Digital World and Image Group. Our past and present projects are also listed there. Together with my students we ran an of-and-off studio blog for past projects and explorations. I have been collaborating with a variety of academic and commercial partners on different research projects: Turner Broadcasting, Google, Sony Computer Entertainment Europe in Cambridge, UK, the Centre for Applied Research in Educational Technologies (CARET) in Cambridge, Alcatel-Lucent, the Georgia Tech Broadband Institute,as well as game developers Funatics, and EA. Other work was or is supported by the National Science Foundation, the National Endowment for the Humanities, and various sources at Georgia Tech including GVU, IPaT, DILAC, and the Serve-Learn-Sustain program. In the past, I used to run an irregular blog about machinima, Freepixel. It is largely for archival reasons still online. A (possibly outdated) CV is here. 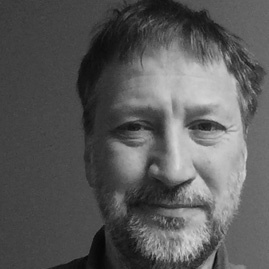 I work as an Associate Professor at the School of Literature, Media, and Communication (LMC) at the Georgia Institute of Technology, where I teach courses mainly for the Digital Media Masters and PhDs, as well as for the Computational Media undergrad programs. 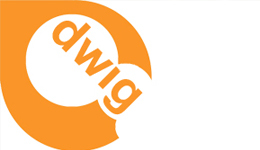 I am founder and Director of the Digital World and Image Group (DWIG), which is the home for all my current projects. 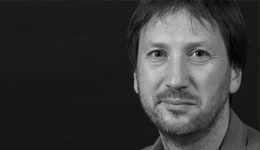 I hold an MA in Drama and German language from the Freie Universitaet Berlin, a MPhil in Architecture and the Moving Image at the University of Cambridge and finished my PhD in 2004 also at the University of Cambridge (Darwin College). If not immersed in some digital adventure I am collecting screenplays. In a former lifetime, I gathered some experience in independent film production, scriptwriting, and even before that I worked as an Improv actor at the Fast Food Theater, Munich. 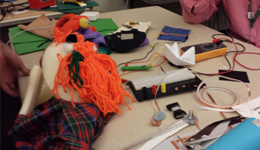 More currently, I am fascinated by puppets and collaborations with the Center for Puppetry Arts. How can we design digital media and interaction as material culture? Our starting point will be an exploration of various materials. Students will be asked to pick a particular material, investigate it through multiple lenses, and eventually build responses/ interventions/ relations to this material using digital media. What makes an object a "media object"? 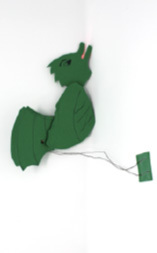 We will explore puppetry as a form of media/ performance art and create own object/ puppets along the way. A more complete list of publications is at my group site. Co-edited with Henry Lowood. 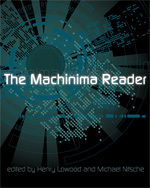 The first academic book about the machinima phenomenon with essays from author such as Katie Salen, Lev Manovich, Jeffrey Bardzell and many more. Published by MIT Press 2011. 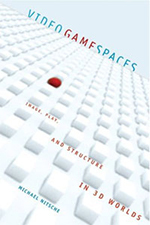 A review on the design, mediation, and use of virtual spaces from the perspective of game levels and architecture. Published by MIT Press 2009.